Enhanced with minerals for a pure, fresh taste. Plant Bottle: Up to 30% made from plants 100% recyclable plastic bottle. This innovative, redesigned plastic bottle uses up to 30% renewable material from plants and is recyclable as always. 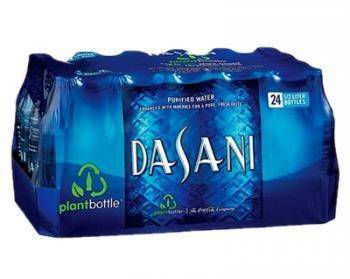 It's yet another way Dasani is making a difference for our planet. Non-carbonated. MAY BE SUBSTITUTED FOR AQUAFINA IF STORES ARE SOLD OUT.